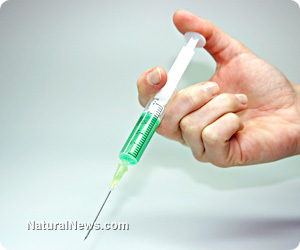 (NaturalNews) The government of Japan's Ministry of Health, Labor and Welfare is speaking out about the destructive side effects coming from popular, worldwide-promoted HPV vaccines Gardasil and Cervarix. Gardasil is Merck's opus and Cervarix is manufactured by GlaxoSmithKline. The Japanese people are reporting side effects ranging from "long-term pain and numbness to infertility and paralysis." In the wake of these complaints, the Japanese government has decided to withdraw its support for these widely pushed and controversial HPV inoculations. Regardless, the World Health Organization stands by the HPV vaccinations efficacy, believing them to be useful tools for "preventing" cervical cancer. Global pharmaceutical giant Merck isn't listening to the ground reports of the vaccination's awful side effects either, stating in a public decision, "While direct causal relationship between the vaccines and serious symptoms observed after inoculation has not been established at this time...We will continue to collaborate with all stakeholders, including (the health ministry), to monitor and verify safety data toward resumption of active promotion for HPV vaccination as soon as possible." The HPV vaccinations have not been stalled or suspended in Japan. The government is just not actively promoting the use of them anymore. These HPV vaccines are still available for free to girls provided through subsidies, mandated by law. The only difference now is that Japanese medical institutions must now inform the young girls the government health ministry does not recommend the vaccines any longer. In hopes of appealing to everybody, VP of the Health Ministry, Mariko Momoi, commented, "The decision (not to recommend the vaccination) does not mean that the vaccine itself is problematic from the viewpoint of safety. By implementing investigations, we want to offer information that can make the people feel more at ease." Momoi is one of five men on the government task force leading the investigation of the HPV vaccinations. The task force has heard 1,968 adverse effects and are further investigating 43 of the cases. In the months ahead, the government will be forced to decide to continue withdrawing their support or to go ahead and reinstate their recommendation for the vaccines. Despite mounting evidence of Gardasil dangers, other countries remain under the thumb of Merck's vaccinations spell. For instance, the Unites States avidly recommends that teenage girls be HPV vaccinated, as they promote industry-backed studies that tout the vaccination's "effectiveness." The United States actively uses tax payer dollars to fund federal Vaccines for Children programs, which include the use of Gardasil, provided by the Centers for Disease Control. In fact, 20 states have passed laws that set aside funds for Gardasil education programs and implementation. As governments believe they are promoting general health and wellness, it's important to look at the documented statistics of people experiencing dangerous side effects. A Candadian medical study, conducted by the University of British Columbia's Neural Dynamics Research Group, first reported by the Washington Examiner, included a list of Gardasil side effects that entailed, death, convulsions, paraesthesia, paralysis, Guillain-Barre syndrome, transverse myelitis, facial palsy, chronic fatigue syndrome, anaphylaxis, autoimmune disorders, and deep vein thrombosis," among others. This isn't the first wave of medical corruption Merck has promoted. Merck is known for falsifying test results for their own mumps vaccines. Two former employees filed a lawsuit in 2010 alleging the company convinced the federal government to purchase hundreds of millions of dollars worth of worthless vaccines. Merck is also known for their drugging of cattle with a recycled anti-partitioning drug called Zilmax. They are most infamously known for their Vioxx scandal from 1999 to 2004, which yielded 38,000 deaths and a massive recall. So why does anyone, any government, any sane person trust pharmaceutical giants like Merck? Why is this organization of murderers and thieves still in business? Why aren't all government withdrawing their support from these dangerous HPV vaccinations like Gardasil? Why are the true alternatives to preventing cervical and other cancers not discussed? Why is anything that threatens human fertility widely promoted?